The letter by Gail Bell rang true to my own experience (“Mother’s death provided painful, personal example of need to stop assisted suicide,” Aug. 5). In 2009, my mother died a painful death. It wasn’t from her condition or a disease. You see, my mother was starved and dehydrated to death with massive doses of morphine after she’d had a mild stroke. It had not mattered that she had been trying to speak and had indicated that she wanted water. The family member holding power of attorney, affirmed by a young doctor, had decided that it was time for her to die. I watched my mother die, day and night for six days. She tried to fight, to wake up, but to no avail, and she suffered. To use the vernacular of assisted suicide proponents, she did not get her choice. If these terrible deaths happen when aid in dying (assisted suicide and euthanasia) is not legal, what will happen if these practices are made legal? Doctors will have even more power to take away patient choice. If we can’t stop the abuse now, how will we be able to stop the abuse then? In 2009, I first published my mother’s story, which can be viewed here www.choiceillusion.org/p/mild-stroke-led-to-mothers-forced.html. I have since been contacted by adult children in both the U.S. and Canada whose parents were involuntarily starved and dehydrated to death. I hope that this practice can be stopped before it is too late. I offer my heartfelt condolences to Gail Bell. I have read the guest column, "People living with disabilities support death with dignity" (July 25), which advocates for legalizing assisted suicide and/or euthanasia for the disabled. I could be described as such a person and this opinion does not speak for me. I am strongly against legalizing these practices. When I was in high school, I was on track to get a basketball scholarship to college. And then, I was in a car accident. The accident left me in a wheelchair, a quadriplegic. In addition to my paralysis, I had other difficulties. Over the next two or three years, I gave serious thought to suicide. And I had the means to do it, but both times I got close, I stopped myself. If instead, my doctor, an authority figure, had told me that ending my life was a rational course, there might have been a different result. If instead, he had given me a lethal dose to ingest or offered to euthanize me, I might have gone along with it. But assisted suicide and euthanasia were not legal in Montana. Such courses were off the table. So, instead, I went to college to seek a degree in education. 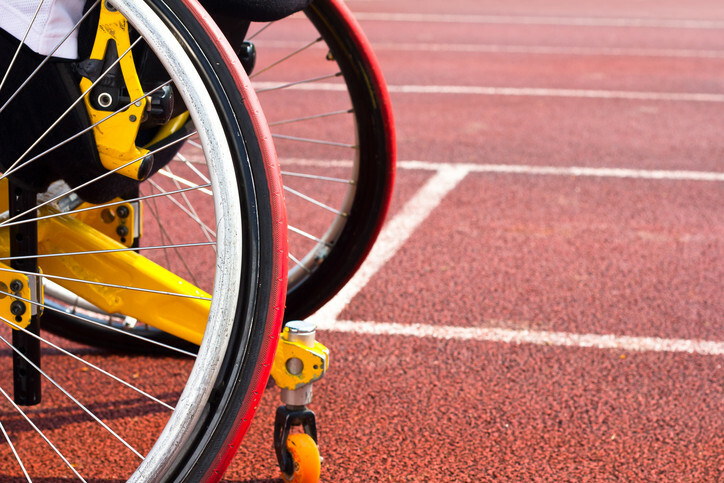 While in college, I participated in wheelchair racing at the state, national and international levels. I met my husband and 21 years later the honeymoon is not over. We have three beautiful daughters and a new baby granddaughter. I am also active in my community. Montana's law protected me and I hope it will stay in place to continue to protect me and others as we go through the sometimes hard times of life. Assisted suicide and euthanasia should not be legal.